If you are preparing your toddler for preschool or are wanting to structure out your classroom, be sure to grab this free printable pre-k schedule. When I created the My Daily Schedule printable pack, I had no idea as to how popular it would become. I had created it as a free alternative to PECS, which is the primary system that my autistic daughter uses for communication at school and occasionally at home. I hope, one day, to make my printable schedules and other printable resources for autistic kids more compatible with PECS products. I’m not trying to compete with that because that’s their dedicated focus and for me, it’s just filling a need at home. 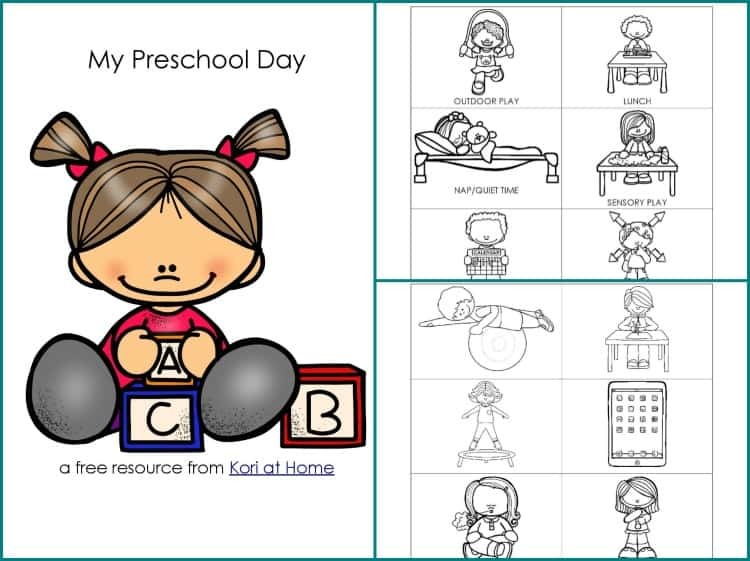 Which is why I wish I’d been able to create this free printable preschool schedule pack when Sweet B was in preschool. 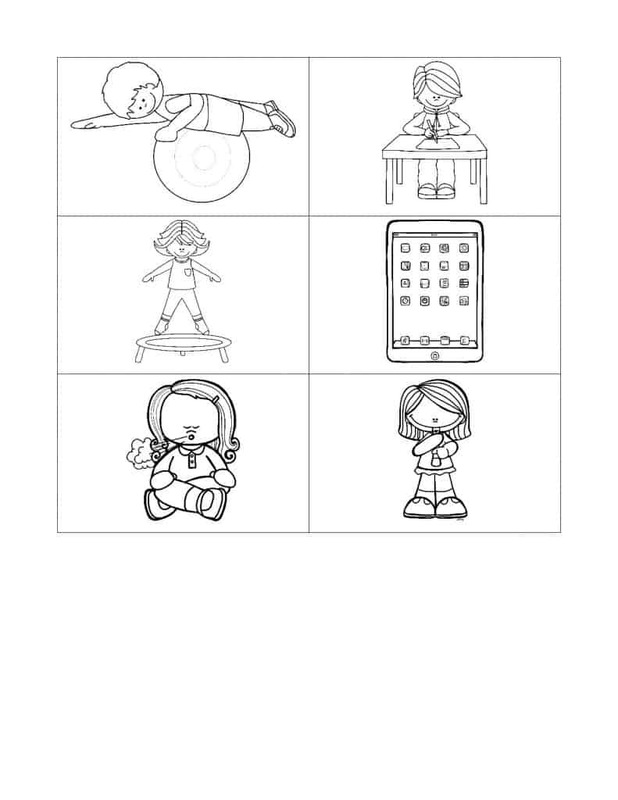 Now, this particular pack was created with both autistic and non-autistic/special needs preschoolers in mind so I hope that you do find it of use! 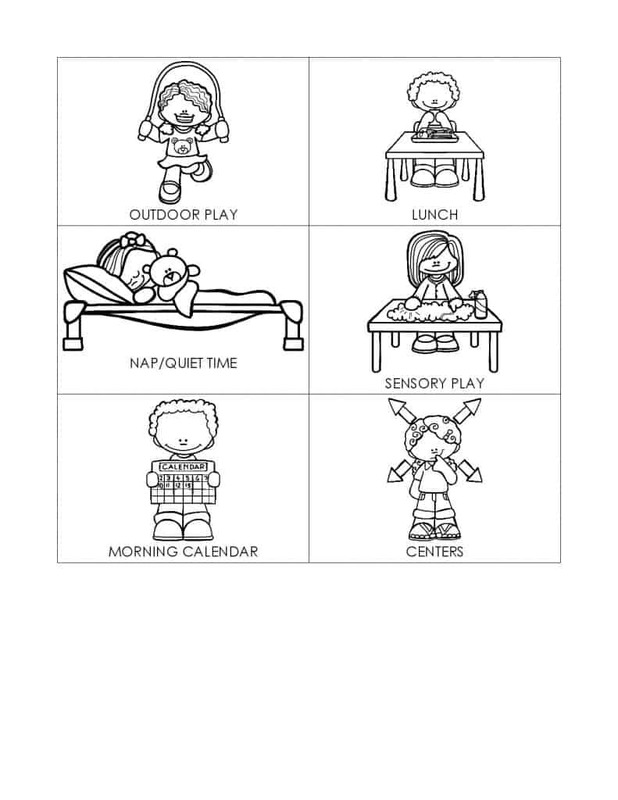 You could also use this as a daily schedule for a toddler. 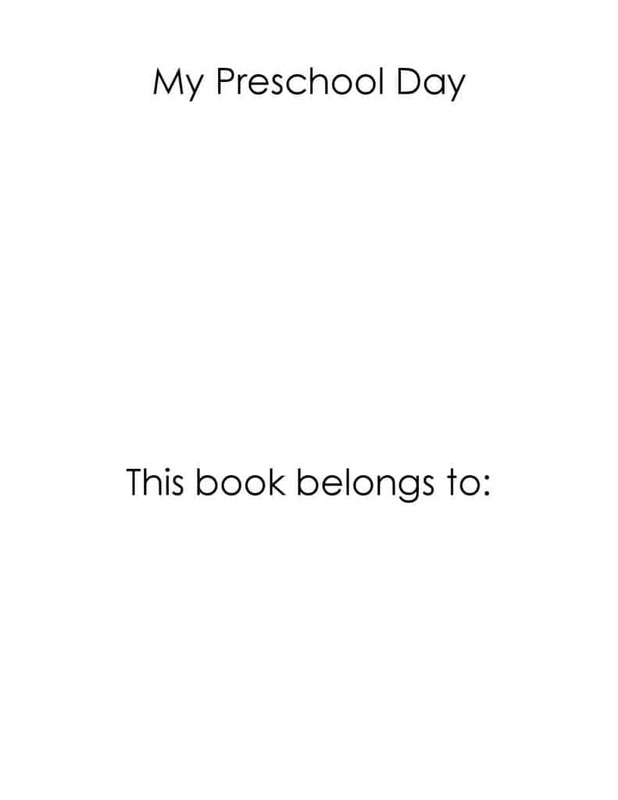 You can use it with the Daily Routine printable pack, and maybe the My Homeschool Day pack, to create more of a complete system. My hope is that these cards can be used by any preschooler- with a disability or without. You can also use this set as a printable toddler schedule. 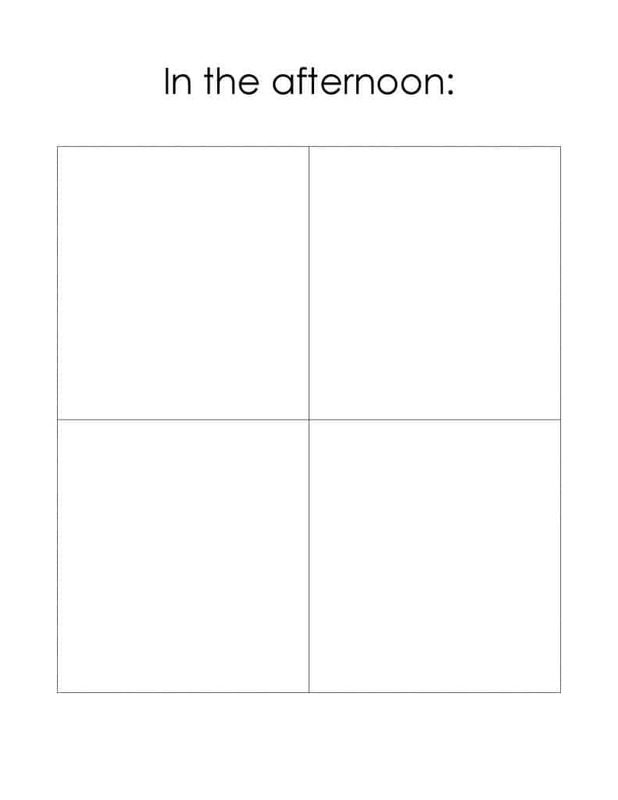 Regardless of how you use them, I would highly recommend printing them out on cardstock (which is why I have them in Black and White only, to hopefully save you on printer ink) and then laminating them. To set them up with a schedule style, you’ll want to use Velcro tabs. If you have any suggestions for additional cards to this pack, please let me know and I’ll see what I can do! This is lovely! What a great printable package! Love that you’re “aspiring to be stay at home mom”. Cheers! Aspiring work at home mom for sure 🙂 Love being able to stay at home.